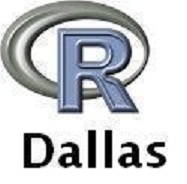 Just a heads-up for any R users in the Dallas/Fort Worth Metroplex: I’ll be presenting at the Dallas R Users Group this Saturday, 2/9/2013 at 10:00AM at the University of Dallas (1845 East Northgate Drive, Irving, TX). I’ll be talking about how to use RStudio’s new Shiny framework to create R-powered web applications. Reconstruct Gene Regulatory Networks (Shiny + D3) – full post here. Color Palettes in Interactive 3D (Shiny + RGL) – full post here. For more information and directions/parking instructions, checkout the Meetup page: http://www.meetup.com/Dallas-R-Users-Group/events/101898022/ . I’ll be sure to post the slides online afterwards for those interested.